Gorgeous New Construction in The Vineyards! 3 bed, 2 bath, 2 car garage slab home with beautiful finishes! Kitchen with granite counters and stainless appliances (Including Fridge!!). 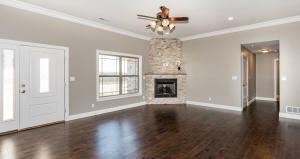 The open floor plan displays beautiful wood floors & a gas fireplace in living room! Oversized utility room with extra storage shelves! 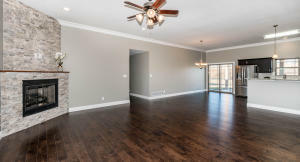 Split bedroom design with large walk-in closet in Master. Bathrooms both feature double sink vanities with solid surface counters. Master bath has huge tile shower. Enjoy your outdoor living space on your covered patio. 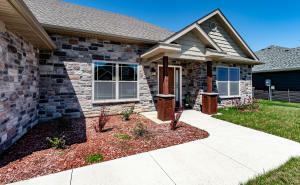 Neighborhood features a community pool & clubhouse!